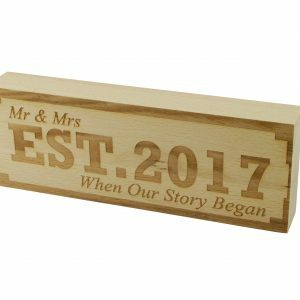 Established Wooden Decoration – Personalise Your Own! 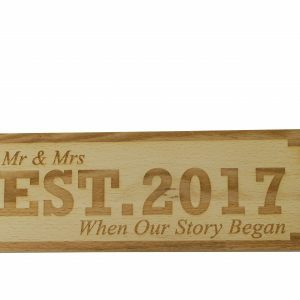 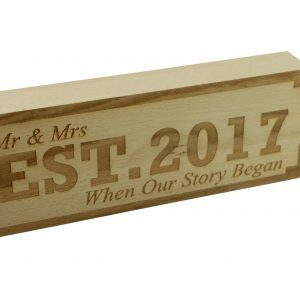 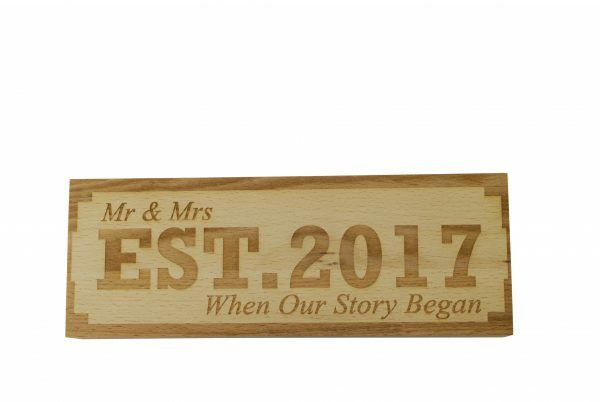 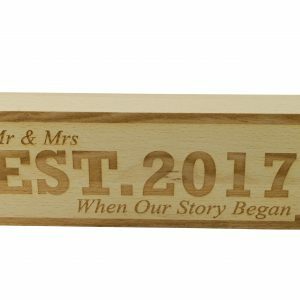 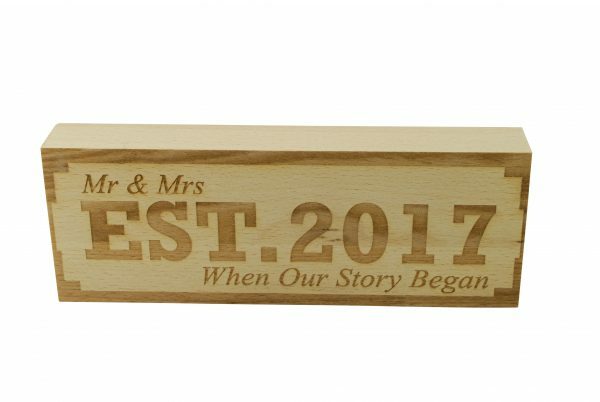 Celebrate the year of your marriage and reminisce back to your wedding with our Established “When Our Story Began” ornament. Choose from Mr & Mr, Mrs & Mrs or Mr & Mrs and choose the year of your wedding! 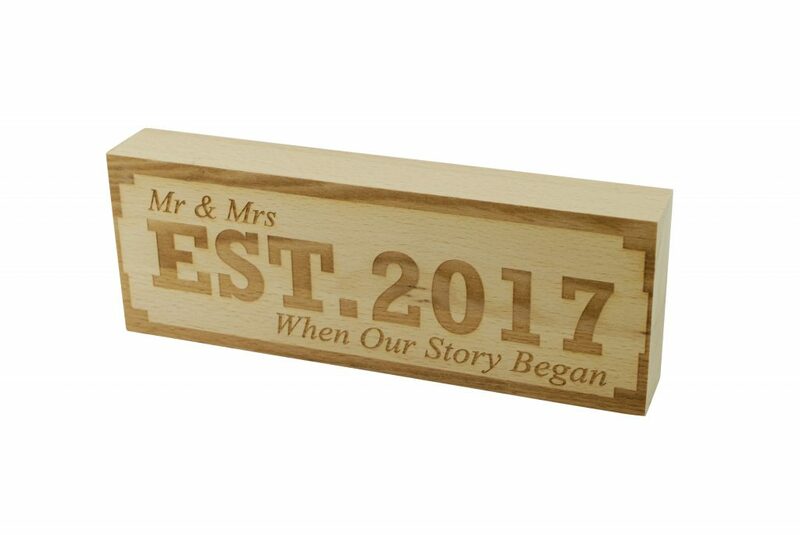 Made from beech wood, its carefully cut to size then laser engraved to give it’s eloquent design. 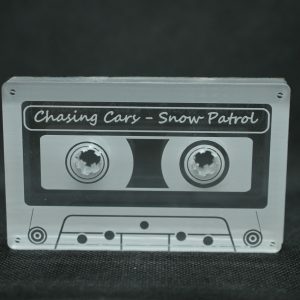 Measuring at 195mm x 70mm x 28mm it would look perfect over a fireplace or in addition to wedding photos. 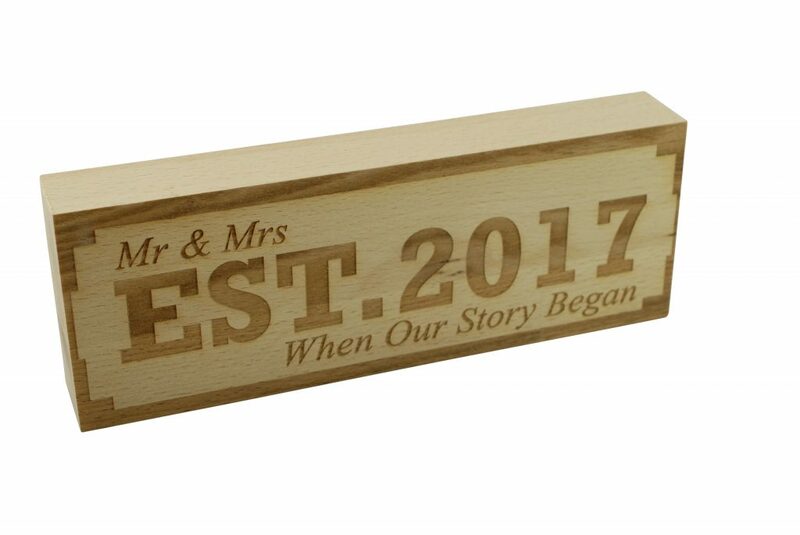 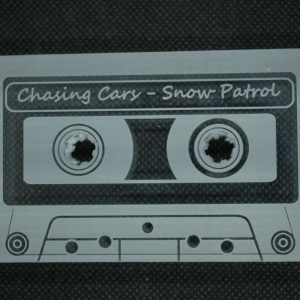 Currently available in years 1993 – 2018, other years are available upon request. 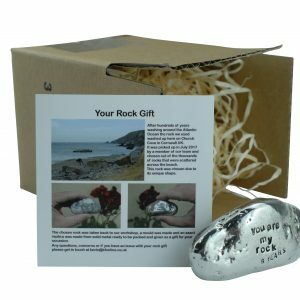 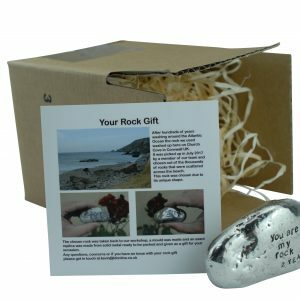 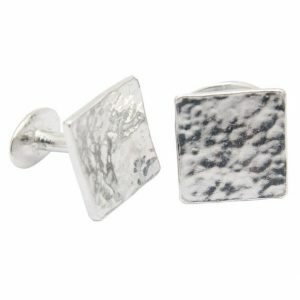 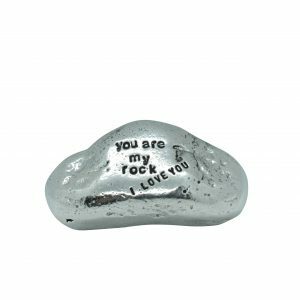 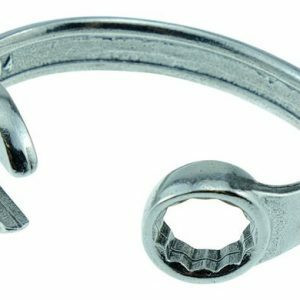 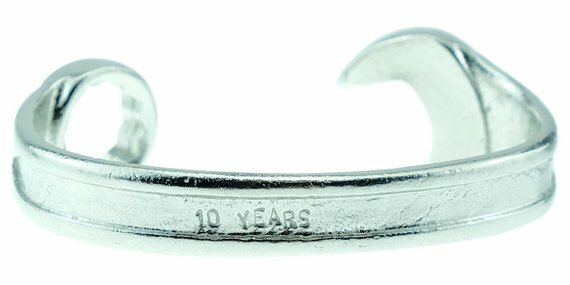 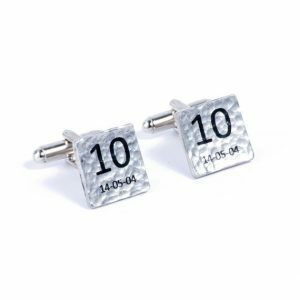 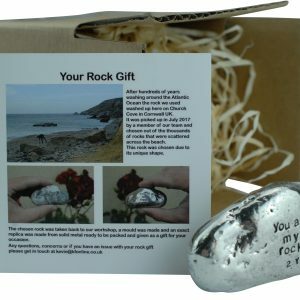 Stylish beaten tin cufflinks you can personalise! 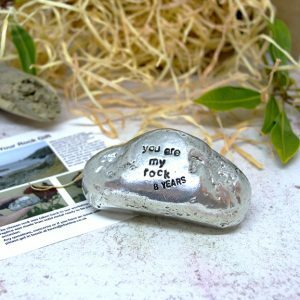 Choose from our favourite phrases or personalise your own Spanner Bangle. 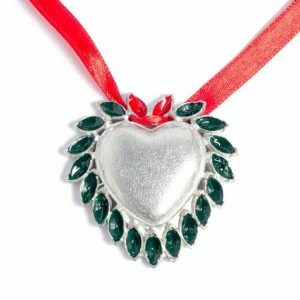 Personalise this festive heart for a special Christmas Gift. 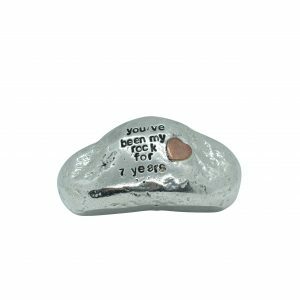 Celebrate with a merry tin snowman!